A show of hands: how many of you geeks out there have heard someone say (or have said yourself) “I have an awesome idea for a game?” Probably a lot. Most of the time these ideas are for running games within a set system, but occasionally it’s an idea for a whole system, or a board game, or even a clever variation on the typical gaming equipment. Until recently, you couldn’t really get an idea like that off the ground unless you had the backing of a company. 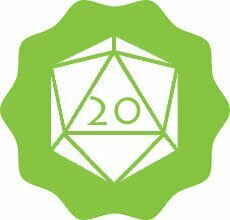 Via Kickstarter, crowdfunding and social media is ushering in a new golden age for interesting, innovative, and just plain awesome gaming stuff. Maybe you heard about what happened last summer, when Reaper decided to Kickstart their line of BONES minis. If you didn’t, here’s a quick summary: Reaper, known for their pewter gaming miniatures, put out a line of models made with a PVC-like material. With only 12 figures in the BONES line, Reaper was pretty surprised to find that 1/3 of all models they were shipping/selling were BONES. They wanted to make more models, and quickly, but they needed a lot of capital for that. So they went to Kickstarter, asked for $30,000. But before that, they shared the wealth. (You’re going to be scrolling for a bit, don’t worry, I’ll be here when you get done). Plus you could add on a whole bunch of different minis in addition to that. Now there’s a new Kickstarter from a company whose products you’ve probably seen at conventions: Dwarven Forge. 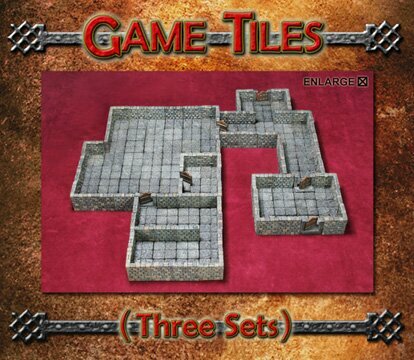 Much like Reaper, they decided to take their beautiful, but pretty darn expensive 3-D dungeon layout products, and make PVC—er, Dwarvenite—version of it. 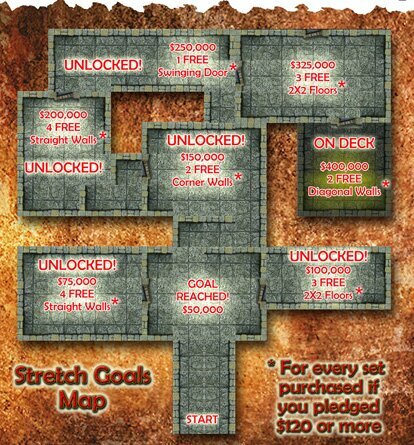 They asked for $50,000, and hoped to get more so that they might be able to offer stretch goals that would double the number of sets everyone would get. In three hours, they were fully funded. In less than 50 hours, they had hit a quarter of a million. Now, with 33 days left (as I am writing this), they’ve already got over $309,000 dollars, and the stretch goals are just starting to get interesting. It’s poised to potentially go as crazy as the Reaper Kickstarter did. 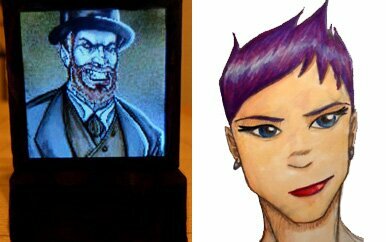 Those are both heavy-hitters on Kickstarter, however; plenty of smaller projects have gotten their start there, too. I have a friend who raves about Bhaloidam which found life thanks to backers on Kickstarter. I’m sorry I missed that one, but I did get in on some nifty LED-minis called “Doppelgangers,” which I intend to use for games like Mage the Awakening to represent my somewhat . . . unique-looking character. I’m also keeping a watchful eye on a board game called Myth, which looks like it might get interesting. I’ve heard it argued that Kickstarter is becoming corrupted by corporations that are using it to get their funding from the “Little Guy” and reap nothing but profits in return. The strongest example of this is The Veronica Mars Movie Project. Don’t get me wrong, I loved the show and I love the idea of the movie, but unless you have a lot of money the rewards are only OK, and the backers aren’t going to get a part of the ticket and DVD sales—the company that took the show off the air is. Still, those widely publicized projects, like Veronica Mars, draw eyes to Kickstarter, and the more eyes on Kickstarter, the more likely the smaller projects will get seen. Besides, if Kickstarter was really so corrupt and evil, wouldn’t the Open-Source Death Star have gotten a lot more funding? I love watching crowd source funding in action with Kickstarter. It’s really opened things up for so many gaming entrepreneurs. I’ve only funded a couple of things due to money being pretty tight, but hearing success stories is something I love. I always feel like I’m probably missing a LOT of stuff I would love to back. There’s just too much! Also, of course, not enough money. Ever. I do kind of hate the sentiment of how corporations are ruining things. I mean, Reaper and Dwarven Forge, both corporations. And individuals are able to exploit the system just as much as corporations (which are made of individuals). And no, backers don’t get an investor status for the movie. Show me a kickstarter where that is the case. But yeah, I’ve kickstarted a decent share of games (video games like Shadowrun and Wastelands 2, board games, RPGs). And in many cases it gets frustrated waiting for these not corporate corporations (Tectonics as an example Ang) to get my rewards. In some ways I can still see the argument–White Wolf is now owned by Onyx Path and they’re basically using Kickstarter to fund their PoD costs and cut out the FLGSs out of the equation for selling their games. I think that’s an abuse of the system. I also think no matter what you do, if it involves money, some people will abuse it, and some people will make wonderful things with it. So far I see a lot more GOOD in Kickstarter than BAD. I’ve kickstarted 14 projects and counting. It does a ton of good. My complaint with the people who say “boo” to corporations out of hand. I don’t think they actually know what a corporation is. In fact, if you kickstart something and DON’T form some sort of corporation you aren’t that bright. You can argue that they mean “BIG BUSINESS.” But I would a) want an actual definition of what they mean and b) they do in fact say “corporation” and WORDS MEAN THINGS. One person I’ve talked to used the term “Big Corporations” alluding to large companies that would ABSOLUTELY be able to fund their projects out of pocket, but are now using Kickstarter to pull in the funds from the public and get nothing but profit in exchange–basically things the Veronica Mars Movie Project. However, the same person admitted that these were just the projects that got the most eyes/publicity, and that there were probably a lot more small projects that used the site properly than big projects like that which were kinda abusing the system. There are a lot more of the “smaller” corporations (such as Dwarven Forge) that are using the system as it was intended–and are treating their backers very generously. Ha ha ha ha ha ha ha ha ha ha ha ha. How much tin foil were they wearing when they said this? Veronica Mars is not being kickstarted by a “Big Corporation.” It is being kickstarted by Rob and Kristen (or more accurately, by Rob Thomas’ production company). It does have to involve a “Big Corporation” because Warner Bros has the rights to this particular IP. And yes, WB is going to be profiting from this movie just because they own that IP and never sold it. And yes you can say the reward levels are skewed more in the case of the VM movie. That is because it is incredibly expensive to make a movie. If it just met the funding levels of $2M they would be squeeking by, making the movie because they want to make it more than they want giant piles of money. I’m quite happy to have overpaid for a DVD copy plus a digital copy at the time of release. And I’ll probably go see it in the theater for some more money when it comes out, not because it will tell “Big Corporations” that kickstarter is a viable alternative method to raise capital (other than issuing stock or taking out loans) but because A) VERONICA MARS ON A BIG SCREEN and B) this will also help “Big Corporations” like WB maybe green light other things that are somewhat different. I imagine there are quite a few Kickstarted businesses that don’t quite get things together as well or as easily as they’d hoped. To a certain degree, I also don’t get the antipathy towards larger corporations also using Kickstarter or a kickstarter-like model to launch a new line or new product. It gives consumers a chance to confirm that something is really wanted and desired by the community AND it gives them an edge on getting something cool. Provided, in those cases where a big business is trying it, the consumer is getting something valuable for what they are ‘donating’ to the cause. Yeah, I think some corporations will (and perhaps have?) done a great job of using kickstarter. And would often trust them more when it comes to what will be delivered and when. They have better knowledge of the project management side AND realize the importance of keeping stakeholders happy. I do think there is abuse in the system, but I’m really pleased that a lot of individuals and small groups are able to achieve things like this. My friend Dan would have had much more difficulty getting Tectonic Craft Studios off the ground without Kickstarter and the help of some good friends.